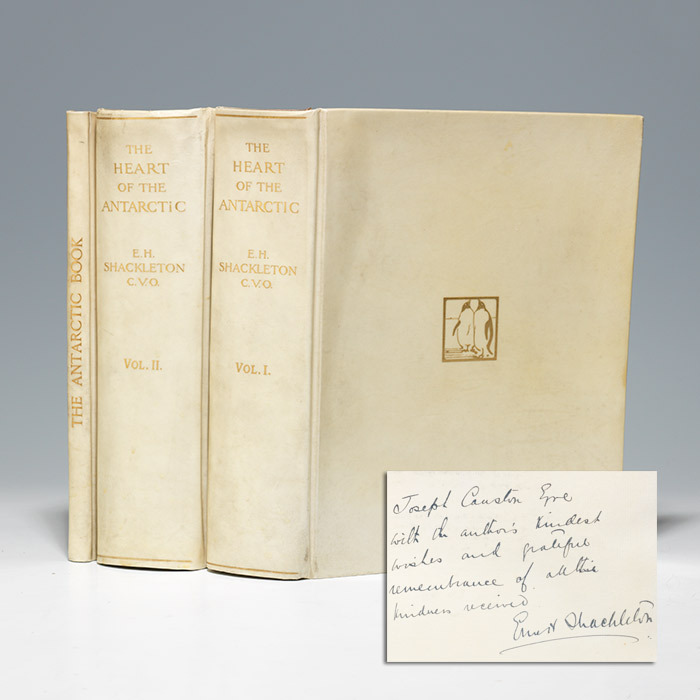 Currently on display is a presentation copy of the limited deluxe first edition of Ernest Shackleton’s Heart of the Antarctic and The Antarctic Book: signed by him and all of the members of the expedition. Heart of the Antarctic is the account of the British Antarctic Expedition of 1907-1909 led by Shackleton. It describes how he – accompanied by three companions and four ponies – reached within 100 miles of the South Pole before being forced to return due to lack of supplies. Retreat notwithstanding this feat outdistanced Shackleton’s predecessors and proved the feasibility of reaching the pole. 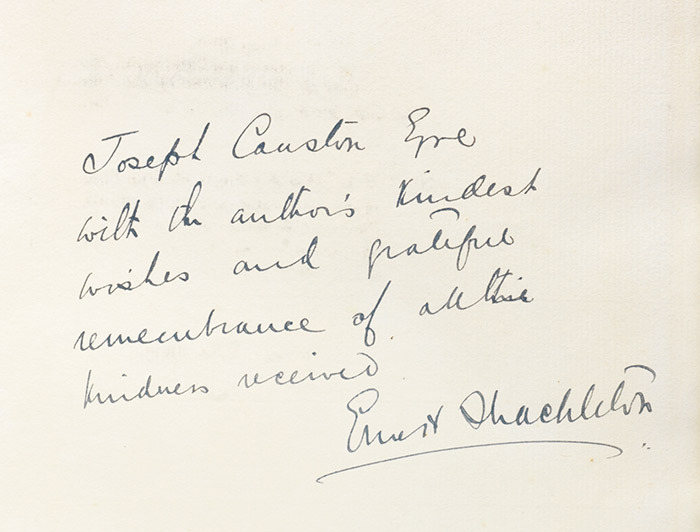 For the expedition, Shackleton was determined to produce a full book, written, illustrated, printed and bound in the Antarctic—the first of its kind, and he turned to the recipient of this copy Joseph Causton, who’s Eastleigh printing firm made possible Aurora Australis, the first book published in Antarctica, from which grew The Antarctic Book. 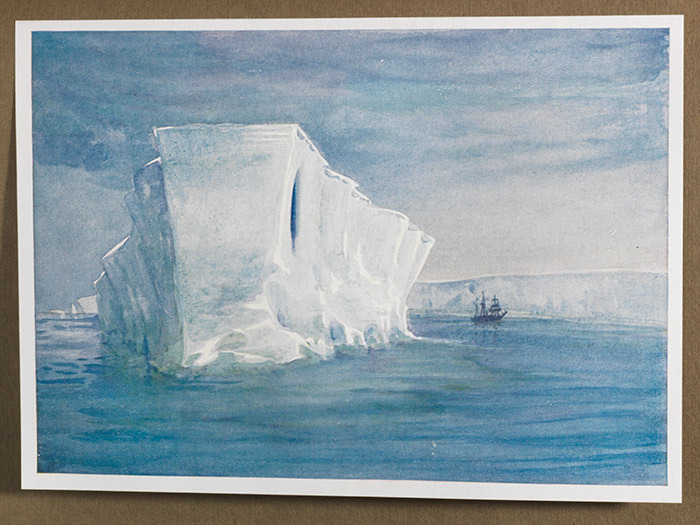 The book includes the 16 signatures of the shore party – and reproductions of drawings done by them – was issued only with this limited edition of The Heart of the Antarctic and has never been reprinted. This copy has been inscribed at length by Shackleton. 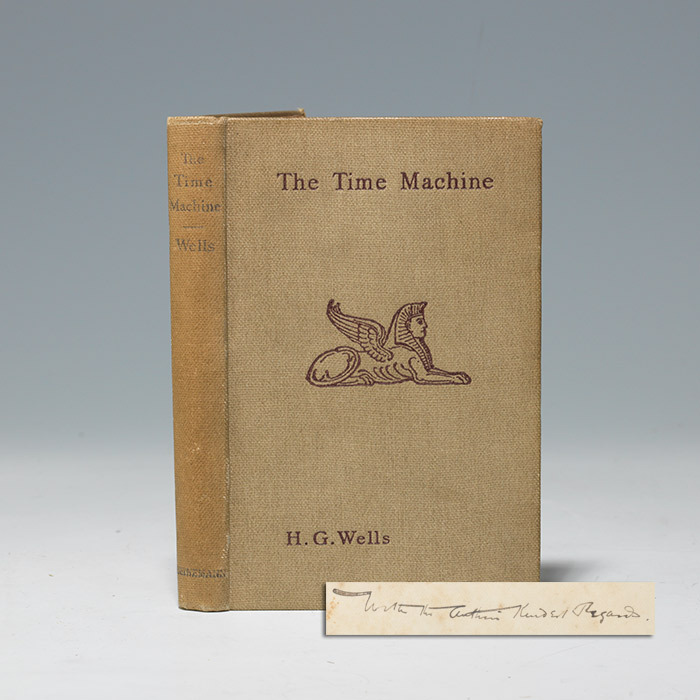 Also on display is a presentation-association copy of The Time Machine by H.G. Wells. This first English edition copy comes from the library of Wells’ scientific adviser and close friend Sir Richard Gregory to whom Wells wrote the inscription. 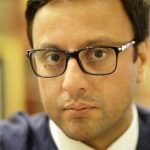 The story is considered to be pioneering for its masterful blend of fiction and theoretical science, and at the time of publication it was an immediate success. Gregory, a professor of astronomy, was also expert in physics, chemistry and other disciplines. He wrote several textbooks and eventually assumed the editorship of the journal Nature, to which Wells frequently contributed. Wells often turned to Gregory – and to the experts Gregory contacted on Wells’ behalf – for insight and encouragement when writing his stories, which even today are lauded for establishing science fiction as an art form. We also have a signed limited first edition of Antoine de Saint-Exupery’s Le Petit Prince, one of only 260 copies signed by him. 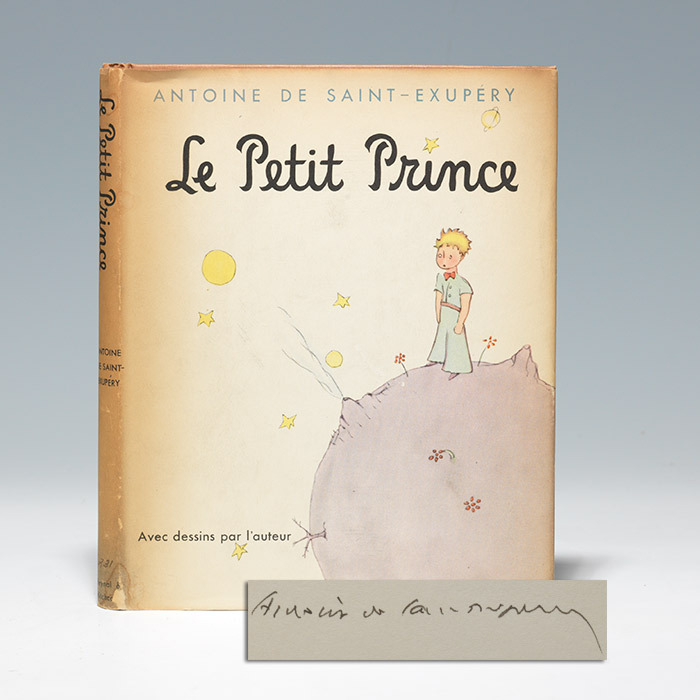 Saint-Exupery disappeared in a reconnaissance flight over the Mediterranean in 1944, and consequently signed copies of The Little Prince – his most famous work and the last published during his lifetime – are prized by collectors. This signed limited first edition in French is even scarcer than the simultaneously published signed limited first edition in English, of which only 525 copies were printed. The story of a downed pilot in the Sahara and the mystical characters he encounters is one of the most widely published works in children’s and indeed French literature. Today the work is available in more than 250 languages – often with more than one translation. The story has been recreated on the big screen and on stage, for radio and television numerous times. 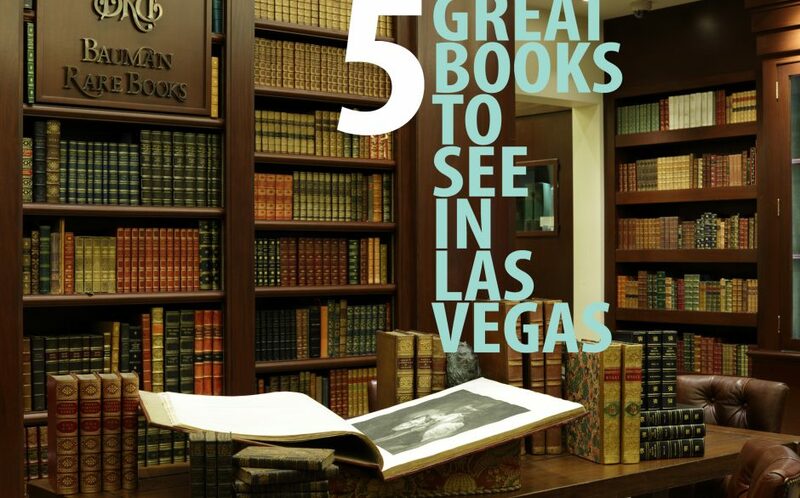 There is even a graphic novel. 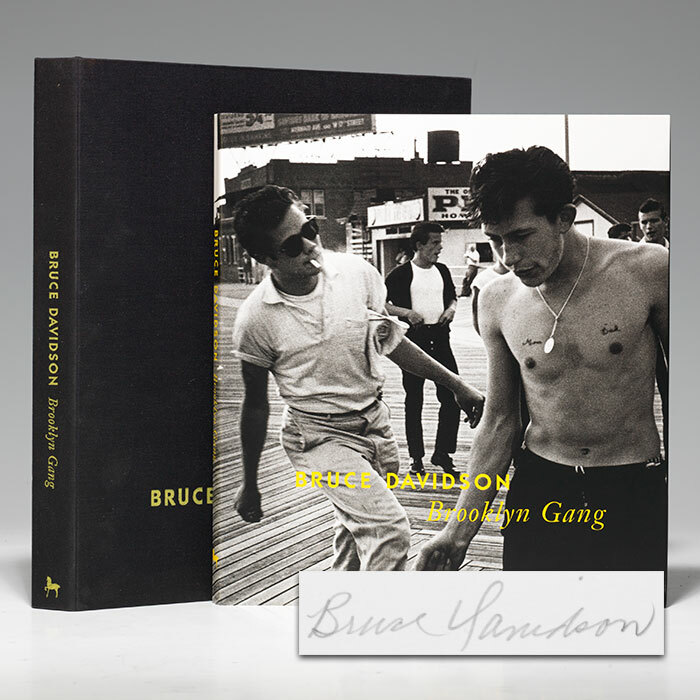 Brooklyn Gang by Bruce Davidson is the photo story of the Jokers, a teen gang the Magnum photographer documented during the 1950s. The limited first edition copy of the work here in Las Vegas is one of only 150 copies signed by the photographer and includes a photographic print from the book also signed by him. The images garnered Davidson many accolades for its cinematic nature and historical document of a world set to disappear. 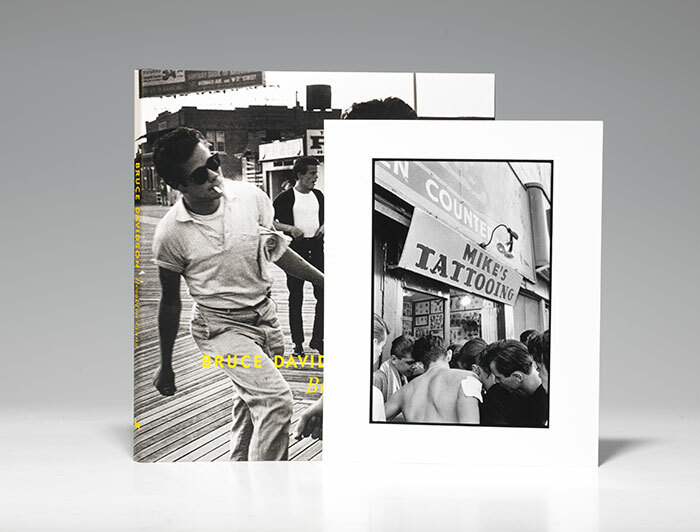 For anyone in love with New York and its history, documentary photography or rock ’n’ roll, this book is a must. Using a social worker to help establish a connection with the group, Davidson was able to earn the trust of his subjects and the ease with which they accepted his company and camera is evident. This was the first story Davidson shot. He was about the same age as the gang members and this documentary style launched a career that has lasted more than 50 years and which includes several books, countless exhibitions and numerous awards. One image was used on the cover of Bob Dylan’s 2009 album Together Through Life. 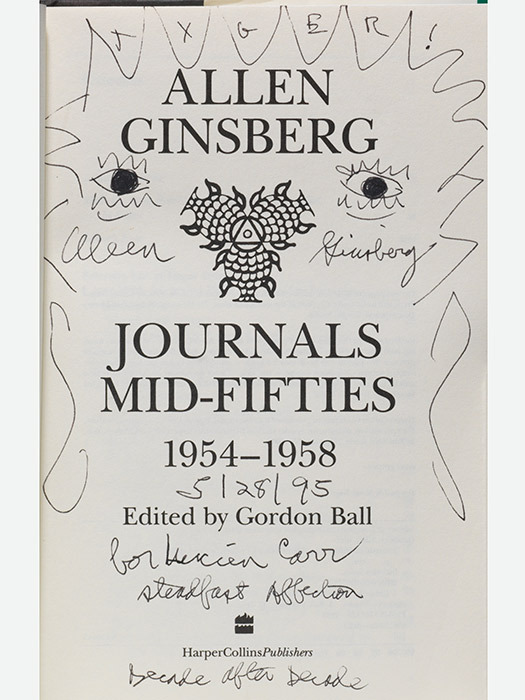 Finally we have a presentation-association first edition copy of Allen Ginsberg’s Journals Mid-Fifties, inscribed by him and with an original sketch to Lucien Carr, his friend and influential member of the Beat Generation’s original New York circle. 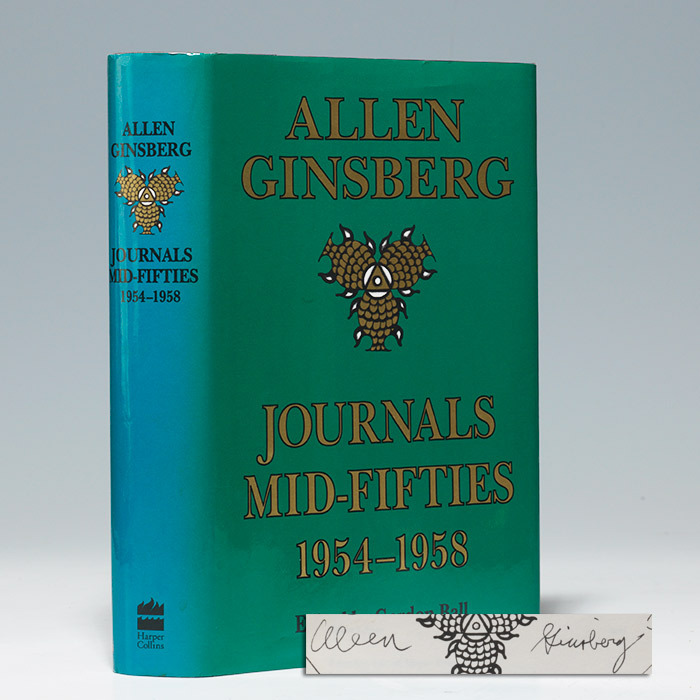 The book details Ginsberg and his times, from the San Francisco Poetry Renaissance to the trial of “Howl” to the death of his mother. Included are poem drafts of “America,” Kaddish IV and “Elegy for Mama,” along with poems, sketches, photographs and commentary.